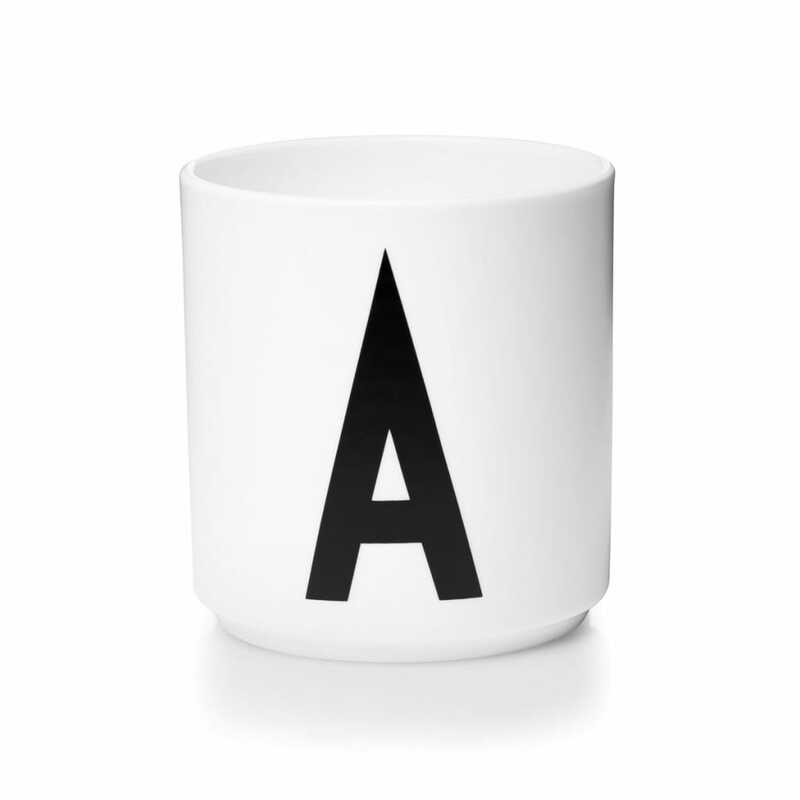 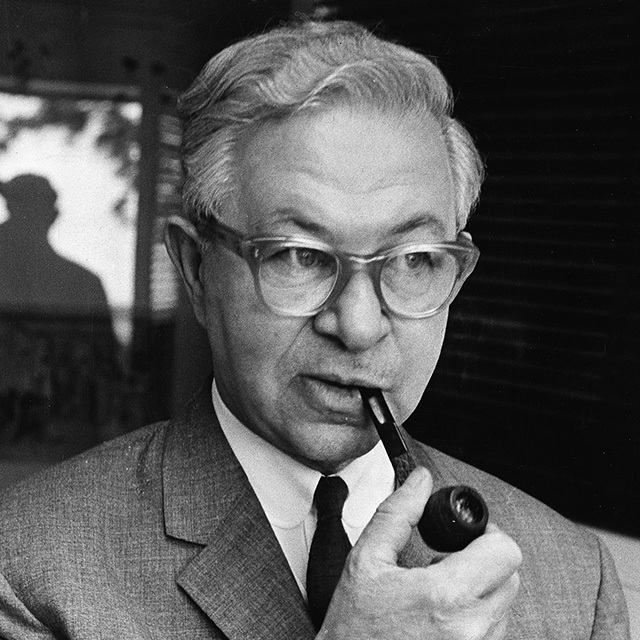 The Porcelain Cups by Design Letters with the abbreviation AJ represent the creator of this typography: The designer Arne Jacobsen. The cups are made of high class fine bone china porcelain and suitable to equip the kitchen, the dinner table or as a decorative item on desks, in the bathroom or other places. Write small messages with the cups from A to Z or add modern touches in black and white. 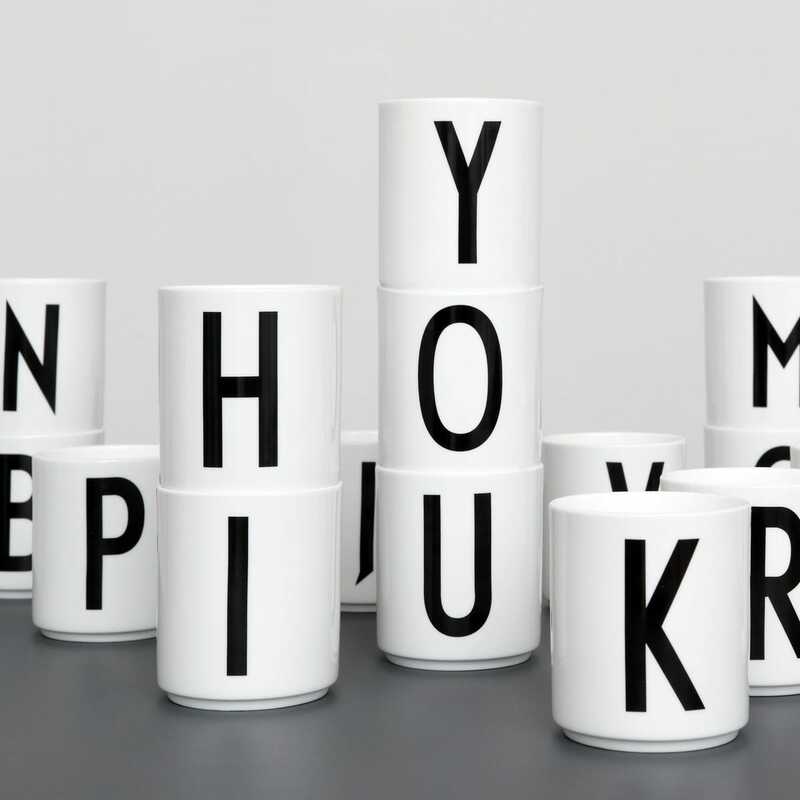 The typography series allows you to write your own “home stories” with cups, plates and home textiles. 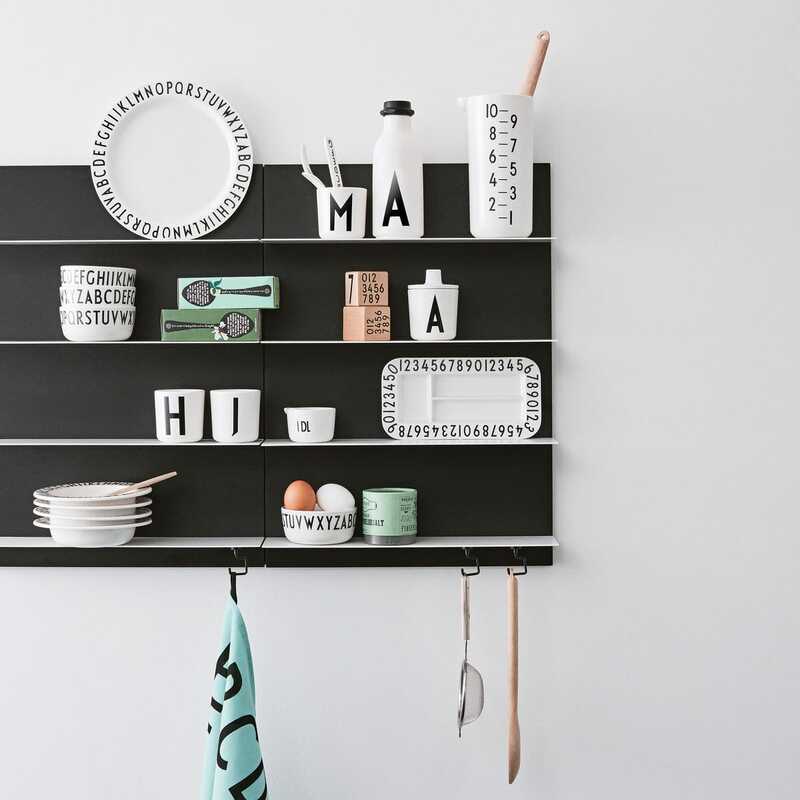 The typography of the Design Letters dishes series stems from the Danish designer Arne Jacobsen, who originally designed it for the interior inscriptions of the Aarhus town house in 1937. 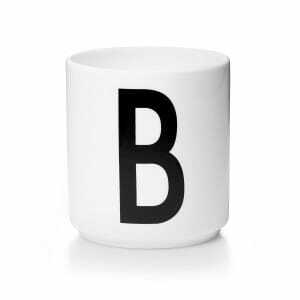 The minimalistic letters and numbers are distinctive and also very timeless. 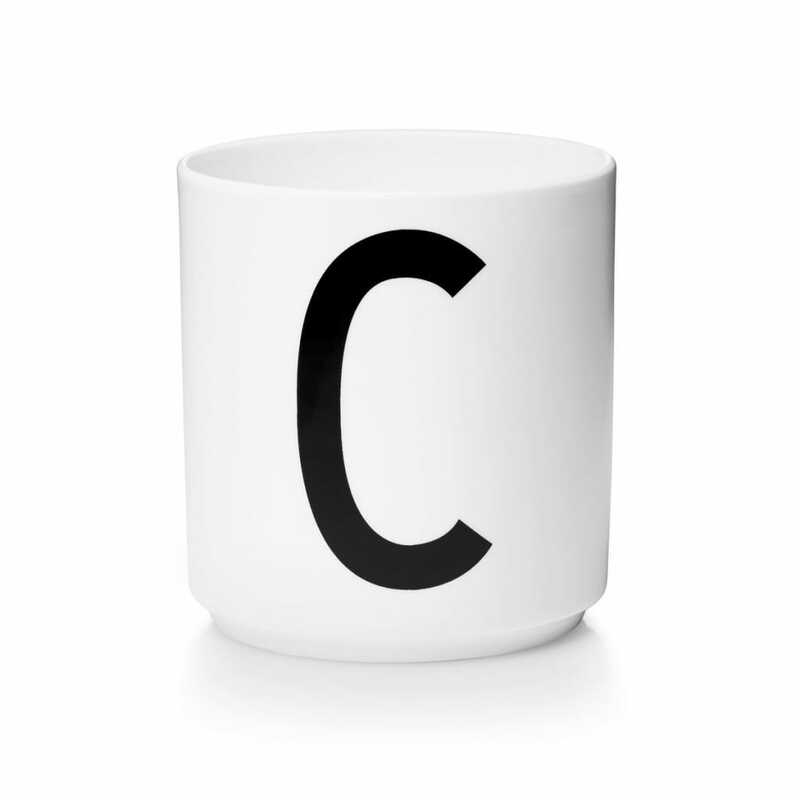 The typography fits into contemporary aesthetics just as well as it did 70 years ago.